Every Brilliant Thing arrives at the Tobacco factory with high expectations. 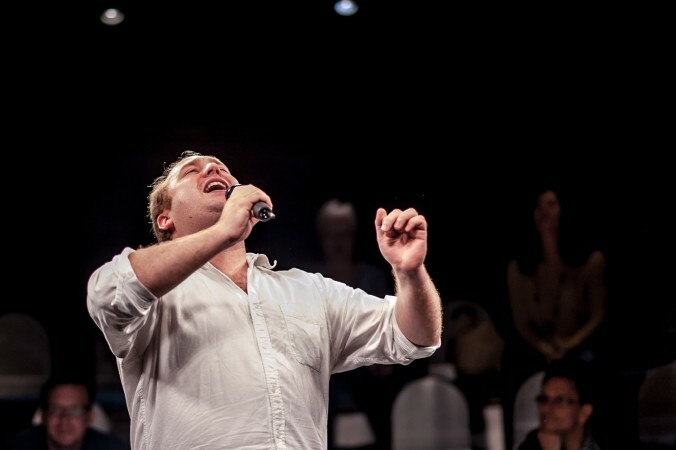 Duncan Macmillan’s show has garnered critical acclaim during stints at the Edinburgh Festival and Off-Broadway New York, the short piece being praised both for putting a spotlight on depression and for having the chops to talk about it in both a heartfelt and comical way. Depression and suicide are incredibly important phenomena to talk about, but – and perhaps this is a British thing – they really are swept under the carpet. It is estimated that one in ten adults suffer from a depression in any year, and suicide is the leading cause of death in young adults. Jeremy Corbyn recently announced, with some fanfare, a shadow Minister for Mental Health, hopefully a sign that these issues will be talked about more openly in future. 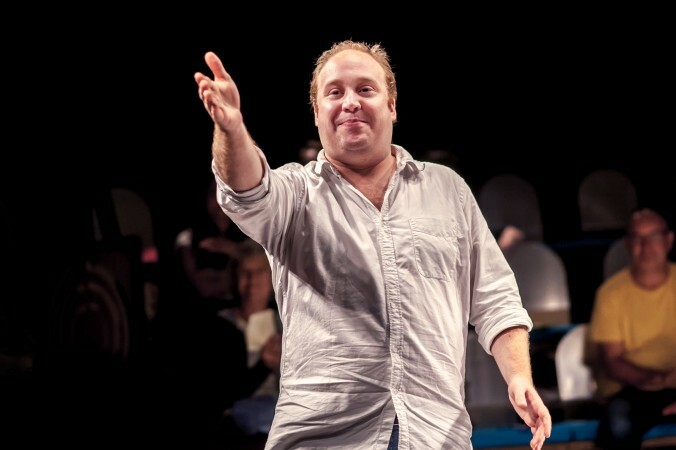 Every Brilliant Thing is essentially a one-man show, Jonny Donahoe with great verve and skill playing an unnamed protagonist, a kind of master of ceremonies, whose mother attempts to commit suicide. As a child, he constructs a list of brilliant things – ‘the smell of old books’, ‘people falling over’ and ‘Christopher Walken’s hair’ – in a commendable endeavour to allow his mum to see the best of the world. The list works as a neat narrative device, taking us through major events in his life – his mother’s second suicide attempt, university, first love and so on. The list is added to sporadically, with audience members calling out the items written on pieces of paper. This involvement of the audience really is what sets the show apart, the interaction creating something of a communion. A handful of onlookers are chosen to play small but significant roles. (In the interests of full disclosure, it must be said that I put in a *stellar* performance as the childhood vet – shame the scene had to be replayed after I failed to stop grinning while putting down a dog). A chilling one-word cameo from one audience member – playing the father – provided the most poignant and moving part of the whole show. Elsewhere there is unexpected hilarity, as a request for books from the audience results in the proffering of a Sylvia Plath novel – it could hardly have been more apt. Not only does the audience taking part provide much of the emotion – laughter, tears – it allows for Donahoe to work off fresh performances every night, keeping the show crisp and dynamic and preventing it from becoming a more stale monologue. Never will two performances be the same. Eventually we reach one million brilliant things. In reality, the list should include entry one million and one: this show. Tagged every brilliant thing, tobacco factory theatres. Bookmark the permalink.